Leaning a little more to the adult sweet tooth is this raisin and pistachio fridge cake. With added crunch and colour, topped with the goodness of goji berries, this sophisticated snack is great for sharing. 1. Crush the biscuits in a bag until small. I use the end of a rolling pin to do this. 2. Melt the butter, golden syrup and 225g of the chocolate in a bowl over a pan of boiling water. 3. Mix the melted chocolate with the crushed biscuits until completely coated, along with the raisins and the pistachios. I chopped the pistachios slightly before adding. Mix until everything is well combined and coated in chocolate. 4. Press the mix into a small square tin lined with greaseproof paper (this will make them easier to remove later), even it out to get it as flat as possible. 5. Melt the remaining chocolate in a clean bowl over the pan of hot water. Pour this over the top to create the final layer. 6. Sprinkle with the chopped goji berries and leave to set in the fridge for approximately half an hour to an hour. I hope you like this recipe! Let me know what you would like to see next? 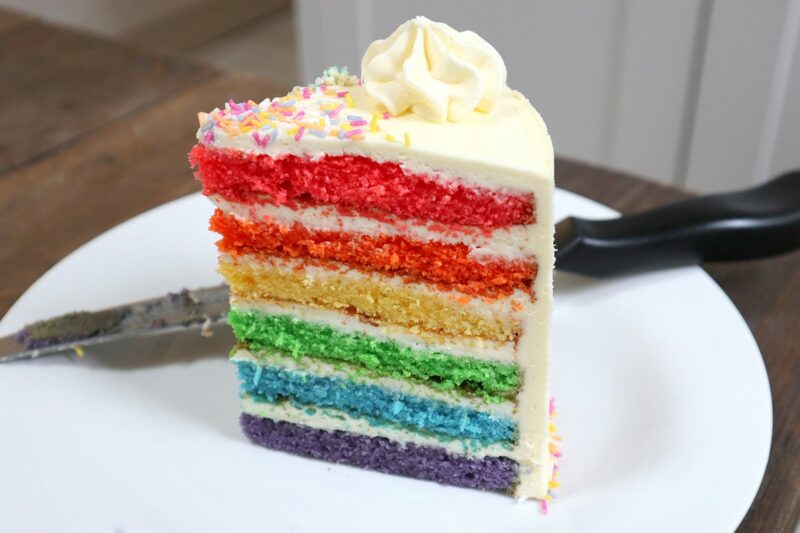 The colors of this cake are so pretty! They’ll make my next party look super-fancy. Thanks for sharing! Can’t wait to see more beautiful recipes. Aww thank you for your kind comments! So glad you like! !